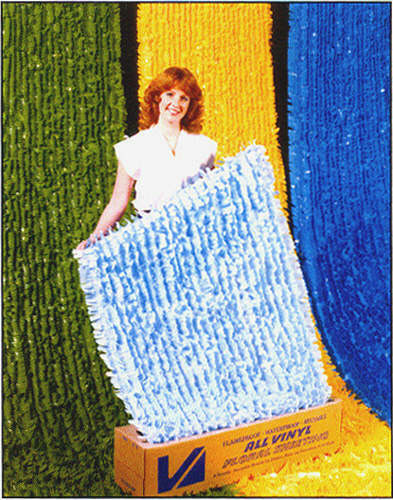 Floral Sheeting is used to cover large areas, such as the deck/sides of a float. Our all-vinyl floral sheeting comes with plenty of vivid color choices to choose from. Floral sheeting is rain-proof, flame-retardant, and easy to use and reuse! Staple it to your float or display for a winning look. Available in vinyl or metallic. Rolls are 3 ft. wide by 10 or 25 yards long. Buy this product now!